Project Vela was a U.S. project designed to verify the Soviet Union’s compliance to the 1963 nuclear test ban treaty. Several satellites were launched as part of the cold war project, capable of detecting the gamma rays emitted by nuclear explosions in space. In 1967 two of the satellites detected a burst of gamma rays that didn’t match the signature of any known nuclear detonation. Over the next few years more strange bursts of gamma rays were detected, and it became clear that something very unusual was happening. Since the bursts were observed by multiple satellites, the Vela team was able to compare the arrival of the bursts between different satellites, and it soon became clear that the bursts had an extraterrestrial source. These intense bursts of gamma rays came not from a Russian arms test, but from cataclysmic events in distant galaxies. In 1973 these gamma ray bursts were declassified, thus arose the field of gamma ray astronomy. 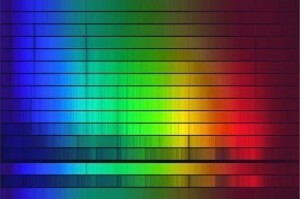 Over the next decades gamma ray astronomy became more sophisticated. 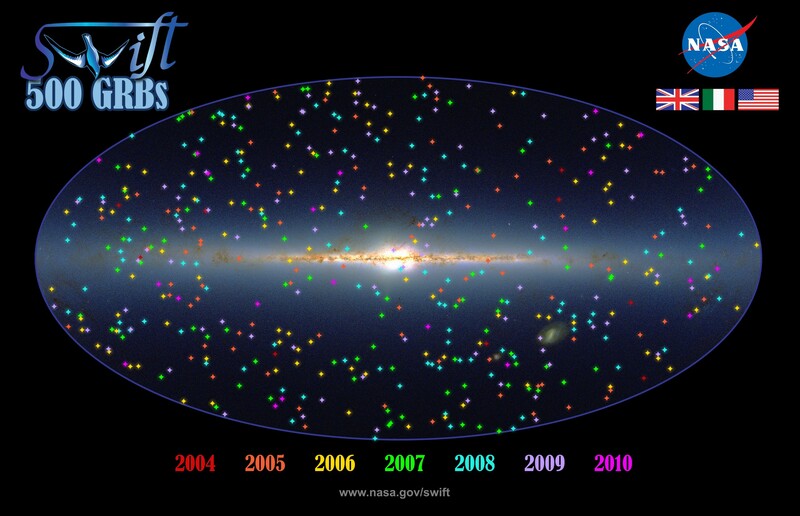 We’ve since detected hundreds of gamma ray bursts as well as made an all-sky survey at gamma ray wavelengths. Project Vela wasn’t the only cold war project to contribute to astronomy. The Arecibo radio observatory in Puerto Rico was funded by the Advanced Research Projects Agency (ARPA) as a way to study radar scattering in the ionosphere. It was also used as a military spy weapon during the cold war. With its 300-meter wide dish, Arecibo could detect faint radio signals reflected from the Moon. By observing the timing and direction of these scattered signals, the location of Soviet Radar Bases and Telecommunications posts could be determined. Of course this trick could also be used to do some revolutionary astronomy. 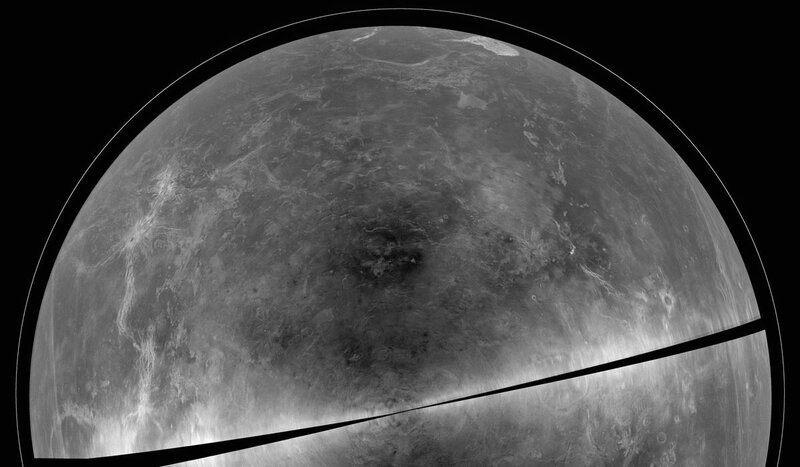 By bouncing radio signals off Venus we could peer beyond its hazy atmosphere to see the surface below. We could even use the technique to test Einstein’s theory of gravity. In 1964 Irwin Shapiro proposed bouncing radio signals off Mercury and Venus, then timing how long it took for the signal to return. According to Einstein’s theory the signal should be delayed by the curvature of spacetime. By the late 1960s this Shapiro time delay was observed, and became one of the great tests of relativity. Of course the greatest cold war space project is the Apollo mission to land on the Moon. 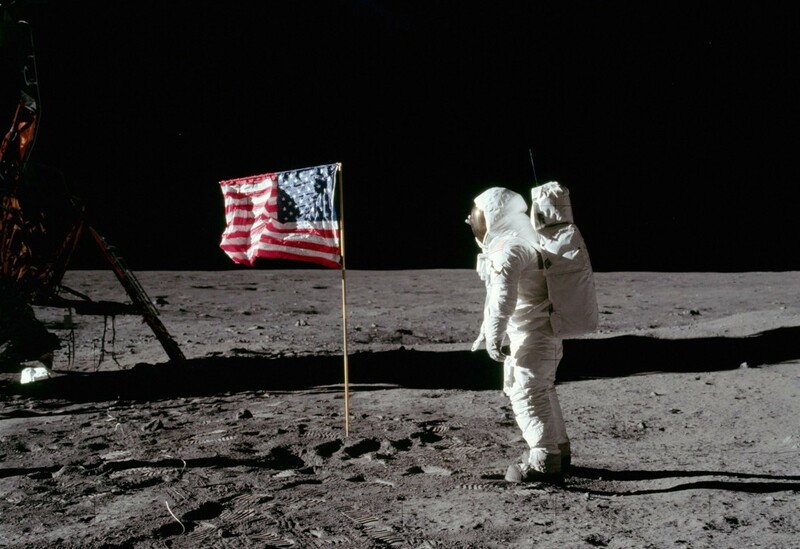 The $25 billion project landed 12 Americans on the Moon, and brought back several rock samples from the lunar surface. It also allowed astronauts to place retroreflectors on the Moon. Retroreflectors are designed to reflect light back in the direction of the light source. By shining laser light at these retroreflectors we can determine the position of the Moon to within millimeters. Such extraordinarily precise measurements allowed us to measure the geologically slow drift of the Moon away from Earth due to tidal interactions. It was the first astronomical confirmation of a process that had only been seen in geological records. The cold war had a significant influence on modern astronomy, and jumpstarted much of the technology we use in astronomy today. It continues to affect astronomy in unexpected ways from time to time. For example in 2012 a cold war spy satellite nearly collided with the Fermi gamma ray telescope. Thanks to communication technology developed during the cold war, we were able to shift Fermi’s orbit to keep it safe.